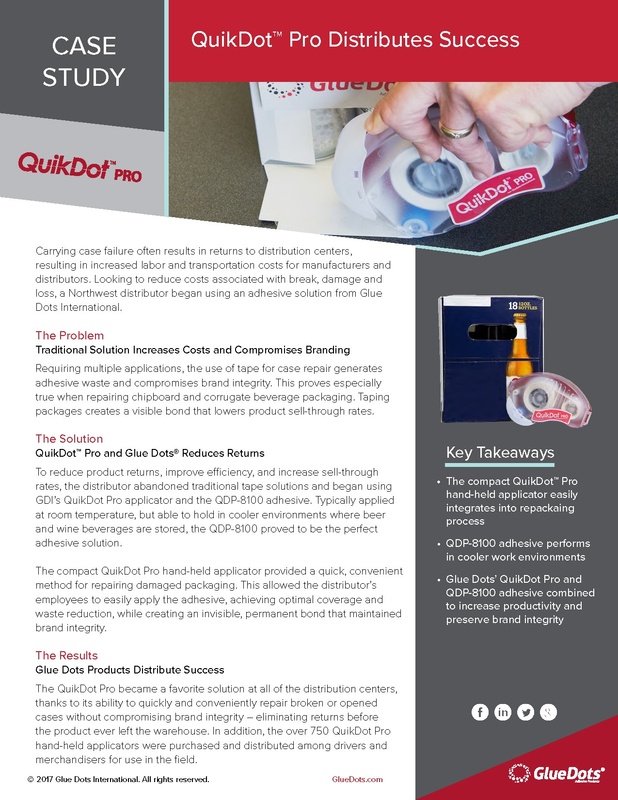 Learn how companies have improved productivity while reducing costs by implementing Glue Dots Brand Adhesives and equipment. 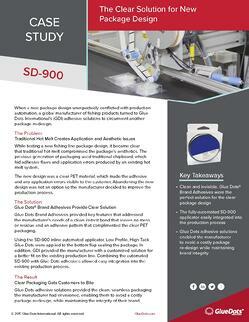 Download the Case Studies below to learn more. 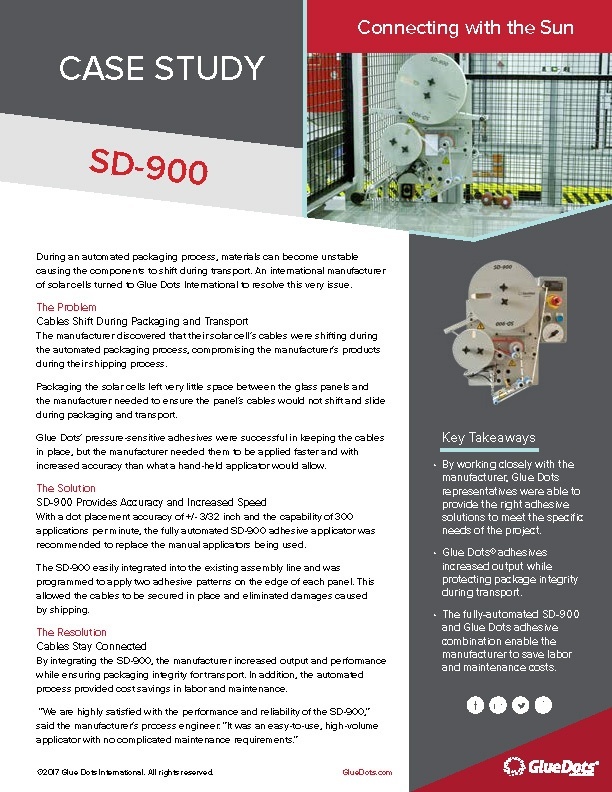 When a “next generation” packaging design unexpectedly conflicts with production automation do you rework the packaging or update the automation? 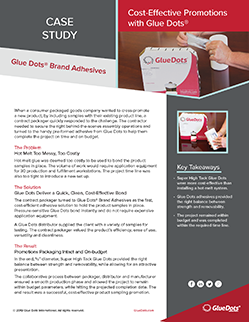 A global manufacturer of fishing products was faced with this challenge and turned to Glue Dots International (GDI) for answers. 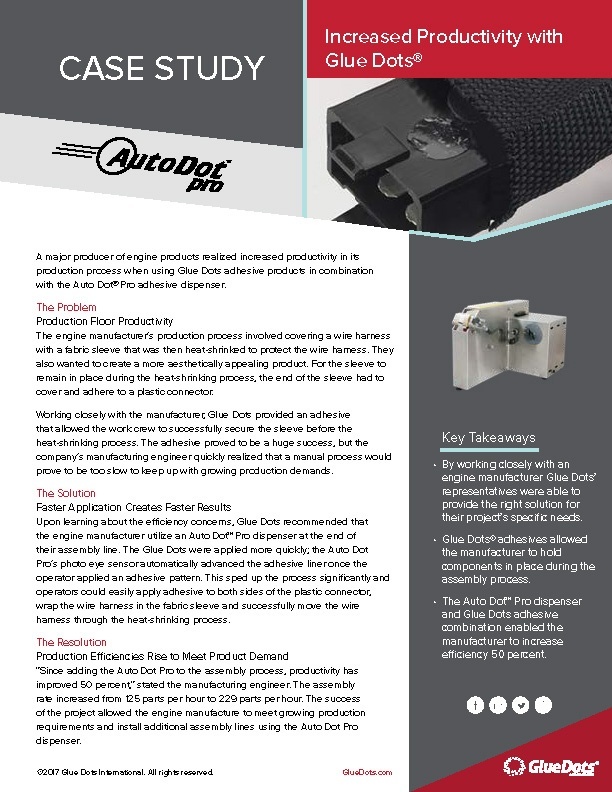 A major producer of engine products realizes increased productivity in its assembly production process because of an automated Glue Dots® applicator. By providing complete printing, post-press, and fulfillment services under one roof, companies can save their clients money while increasing revenue. 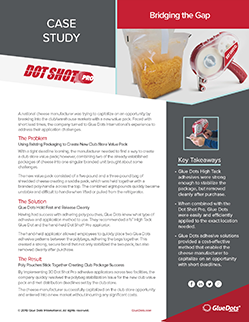 A national cheese manufacturer was trying to capitalize on an opportunity by breaking into the club/warehouse markets with a new value pack. 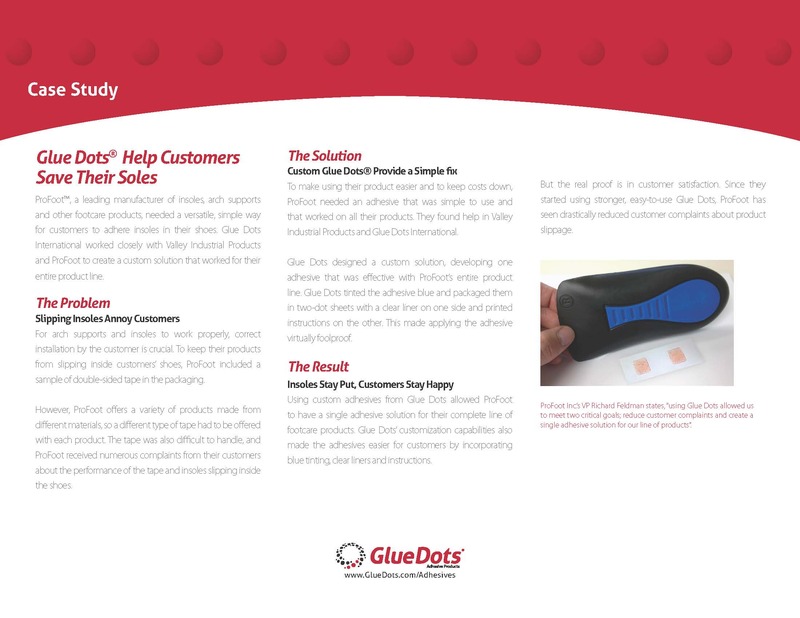 Faced with short lead times the company turned to Glue Dots International’s (GDI) experience to address their unique challenges. 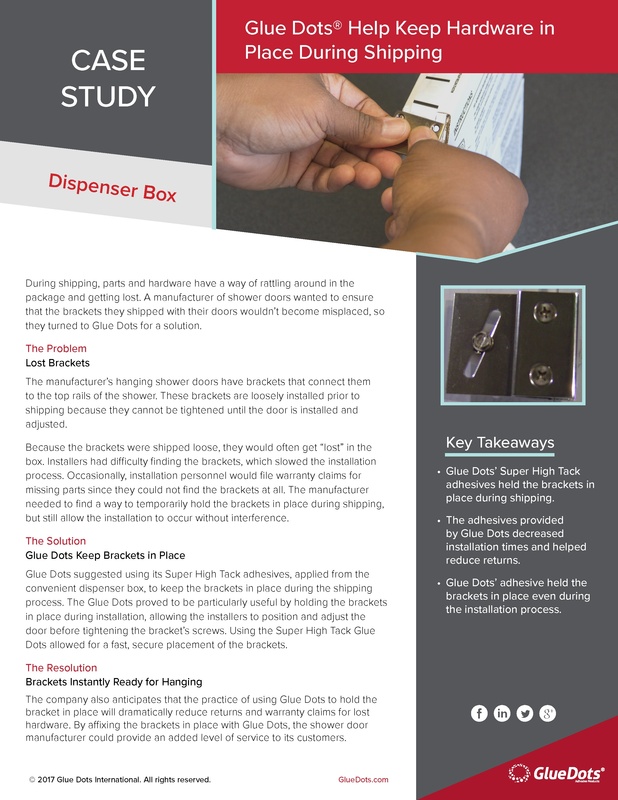 Carrying case failure is a multi-million dollar problem for the beverage industry, resulting in countless returns to re-pack centers, and higher labor and transportation costs for manufacturers and distributors. 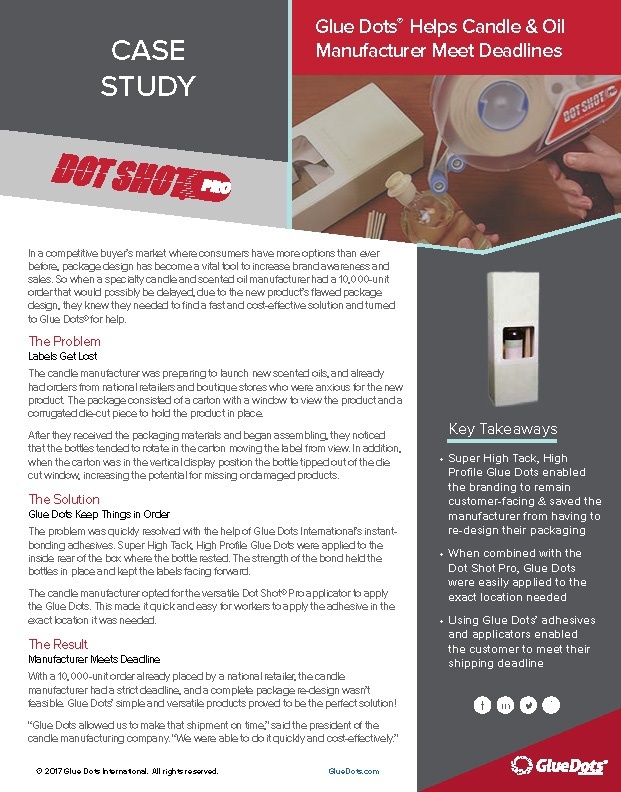 Looking to curb costs for beverage repacking, one distributor in the Pacific Northwest discovered a new technology from Glue Dots International. 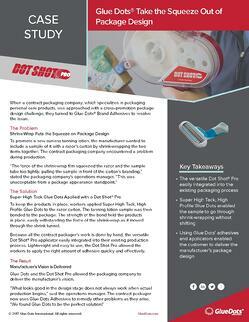 Promotions are a high-stakes marketing tactic where, at times, logistics can be complicated. The perfect promotions concept isn’t enough to guarantee a successful ROI. 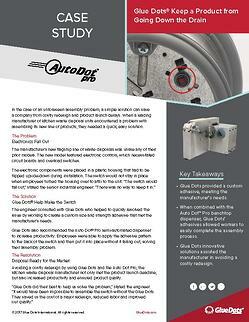 During shipping, parts and hardware have a way of rattling around in the box, making final assembly difficult. 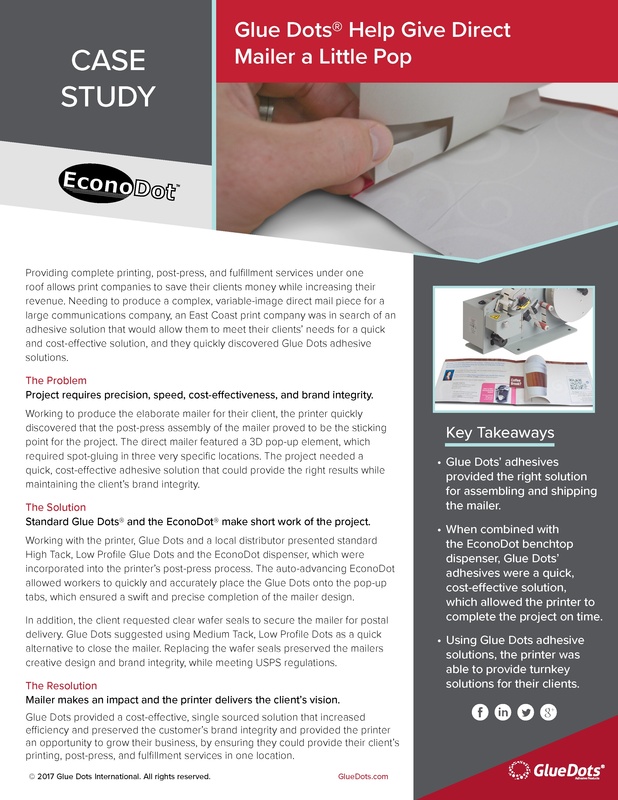 Basco, a manufacturer of shower doors, wanted to ensure the brackets shipped with the doors didn’t get lost, so they turned to Ellsworth Adhesives and Glue Dots International for a solution.